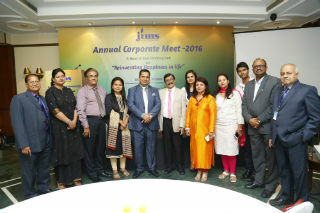 New Delhi: Jagan Institute of Management Studies (JIMS), Rohini Sector-5 organized “Annual Corporate Meet 2016” at Silver Oak Hall, India Habitat Centre, New Delhi on 22nd October 2016. 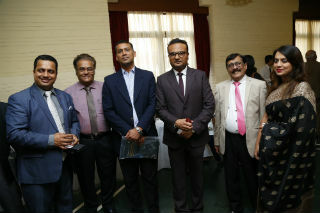 Chairman of JIMS Rohini, Mr. Manish Gupta and Director, Dr. J.K. Goyal welcomed the Chief Guest Vivek Bindra - International motivational speaker and the guests from various corporates. The event brought together top recruiters and HR professionals from companies like TCS, Samsung, FIEO ,HCL, CEAT,Blue Dart, The Times of India, Yes Bank, Escorts Ltd. etc under one roof to discuss the industry trends and future prospects. 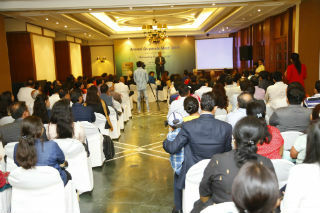 Special talk on “Reinventing Happiness in Life” was delivered by Vivek Bindra. 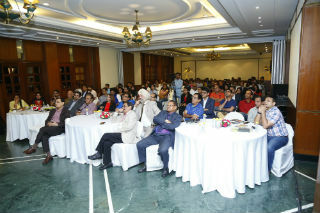 The presence of more than one hundred Industry professionals graced the occasion was highly encouraging. 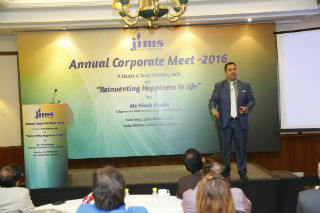 Director Dr. J.K Goyal said that this time the Annual Corporate Meet was different in many ways. It had a motivational speaker who enthralled everyone with his wonderful presentation with huge participation of corporates. The engagement at the event was remarkable. Everyone had some memorable experience to take away. Enthralling the audience Vivek Bindra talked on “Reinventing Happiness in Life” which not only helped the audience discover new ways to bring happiness in life but also talked about building leadership quality and the value of it. He used various demonstrations and illustrations. 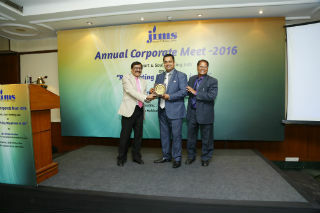 This meet provided a platform to help and develop a better professional environment and emphasized on the need of taking initiatives and to accomplish the responsibilities with this highly successful corporate meet, JIMS has once again proved that it believes in constant industry academia interaction in order to inculcate specific skills among its students so that they become employable at decent managerial levels in India.